Drinking wine. 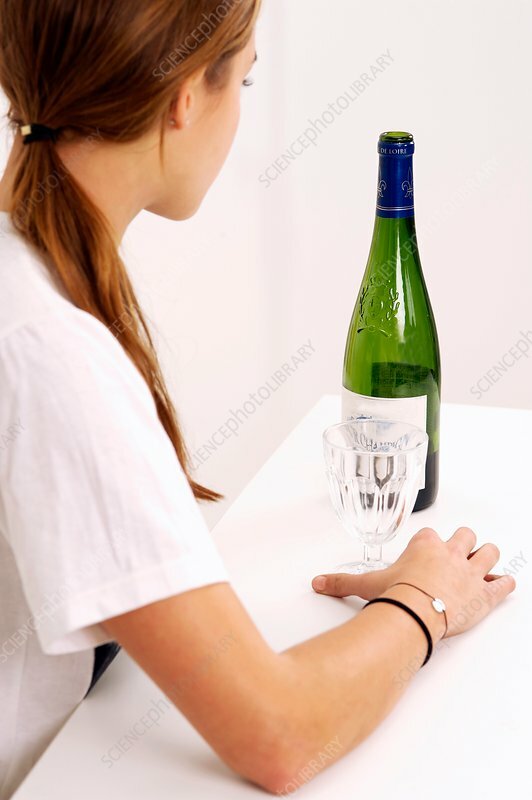 Teenage girl with an empty wine glass and a nearly empty bottle of wine. This image could represent non-social drinking, where people drink by themselves to reduce stress or tension. This can be an indication of dependence on alcoholic drinks, and is one of the stages that can lead to alcoholism.